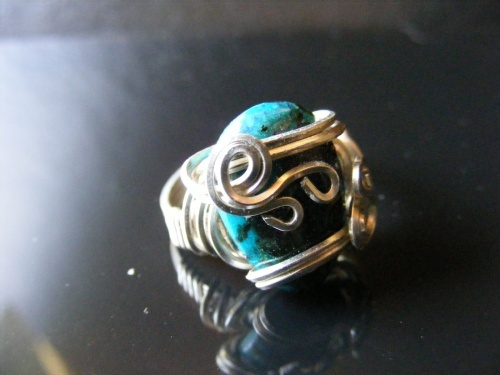 This gorgeous Chrysocolla ring is wrapped with curls of argentium silver. Uniquely designed to make this your favorite one of a kind ring. Size 7.